Our tailored financing plans – such as leasing, rental or rent-to-own – ensure that your company uses its capital optimally, and that your fleet remains up to date with the latest technology at the lowest possible cost. The goal is to have the solution meet the individual requirements of your company – even looking beyond purely financial considerations and regardless of whether you need a single truck, several vehicles, or an entire fleet. Retrofitting of existing vehicles with equipment to enhance safety, efficiency or ergonomics. 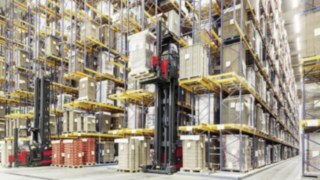 Do you need to use forklifts or warehouse technology trucks in the medium or long term? Then we recommend a leasing agreement with individual terms for fixed monthly installments – protecting you against depreciation and interest. This does not tie up capital, and keeps you flexible on your balance sheet. 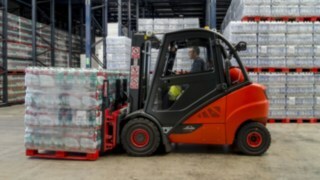 Do you need a forklift in the medium to long-term, and simultaneously value the continuous availability of your fleet, with no risk? 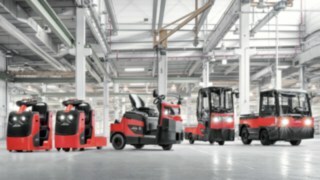 The Linde Rental Package offers you the advantages of a leased forklift, plus a complete maintenance and repair service at a fixed monthly rate. You have the certainty that your vehicles are ready to go at all times, and are able to foresee the costs in the long term. Hire purchase is the appropriate choice if you ultimately want to own the vehicle, and thus would like your use of it to be combined with a purchase. With individually arranged payment plans and fixed hire purchase rates, this model functions similarly to purchase on credit, with flexible balance sheet organization. Do you only need a forklift now and then, or only for one single use? 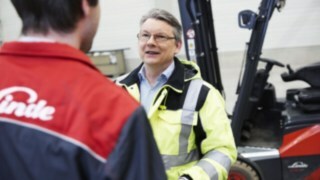 Logistics vehicles can be hired from Linde for hours, days, or weeks. With or without a driver, at fixed or variable prices. With more than 40,000 vehicles, Linde offers the largest short term rental fleet in Europe – and the greatest variety in choice.